Take an opportunity to learn first-hand how the unique New York High Line is managed with the expert himself, internationally renowned Piet Oudolf, in an exclusive new course. Launched by Learningwithexperts.com the course is available from March 1. The landscape architect, described as the rock ‘n’ roll planting designer of our age, designed the High Line, which has become one of the world’s most successful parks in just eight years. Welcoming more than seven million visitors a year, the park is a symbol of how plants can triumph in extreme conditions in one of the busiest cities in the world. The park’s success offers an inspiring case study that can be used as an example of effective urban regeneration across the world. As a highlight of the course, students will have access to never-seen-before drone footage of the magnificent, carefully managed park. The four-part course showcases how well-chosen plants can not only survive but thrive in extreme conditions. Learn what monthly tasks it takes to look after perennials that flourish along the former railway line. With insights from Piet himself, as he walks the High Line, the course also includes lessons in the long-term management of perennials, ensuring that they will look good for many years to come. 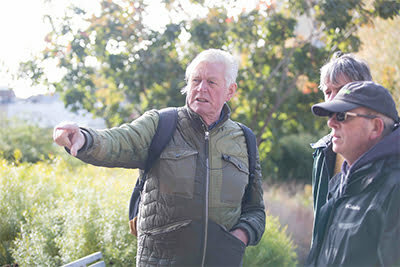 While Piet Oudolf designed the High Line plantings, he works with Dr Noel Kingsbury on the course. The duo aim to help students learn about the detail of choosing plants not just for their beauty but for their longevity. The lessons will reveal how to develop the skill of thinking ahead to ensure gardens remain healthy and beautiful long term. Director of Horticulture for The High Line, Andi Pettis also shares insights on how staff maintain the site and how it is expected to evolve. Perennial Management, The Piet Oudolf Way, is available from March 1, and is priced from $51. It comprises four tutorials. And offers lifetime access to course content and a flexible study program that fits around the individual, with optional assignments and online support from the Learningwithexperts.com community. All students will have direct access to their fellow classmates in the Learningwithexperts.com online classroom. Students who want direct access to Piet can upgrade to the $194 course.